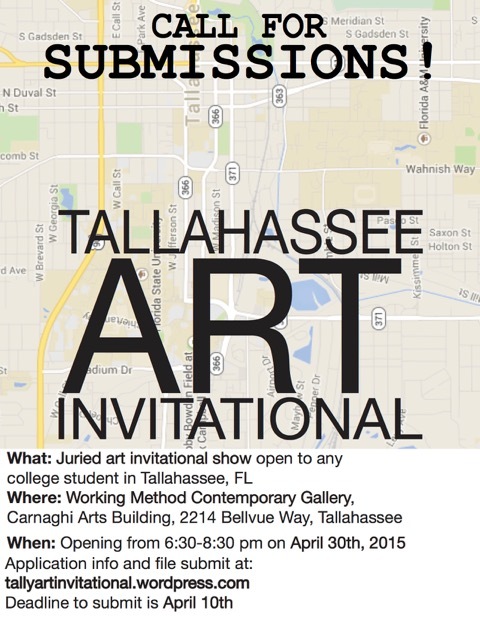 The Working Method Contemporary Gallery at Florida State University will be hosting the Tallahassee Art Invitational on April 30th. This is an all-media show open to any enrolled college student in the Tallahassee area. There is no entry fee and awards will be given for Best in Show and People’s Choice. 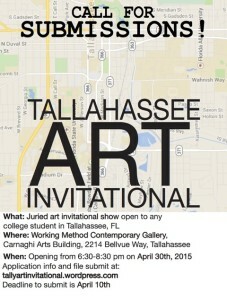 All FSU students are encouraged to submit their work! Deadline to submit is April 10, 2015.